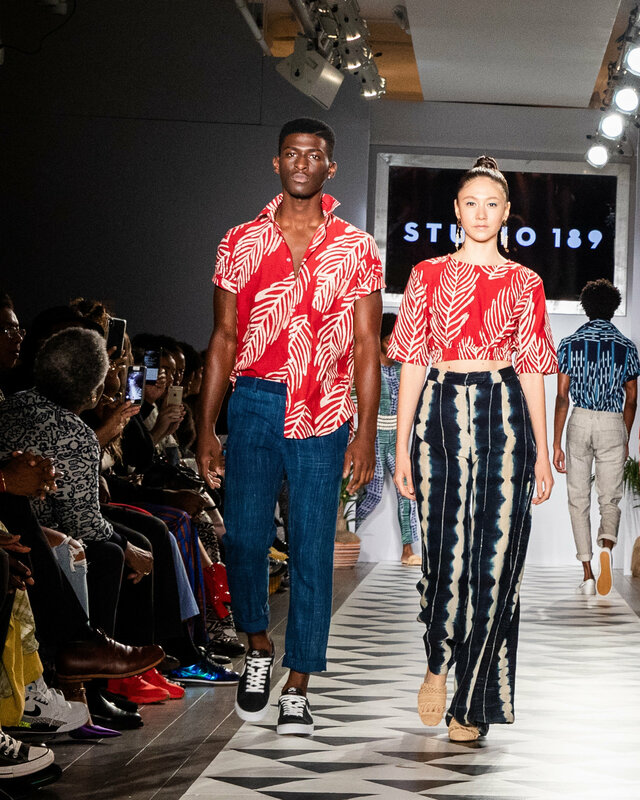 The Ghana-based sustainable brand presented their spring/summer 2019 collection—and it was out of this world. 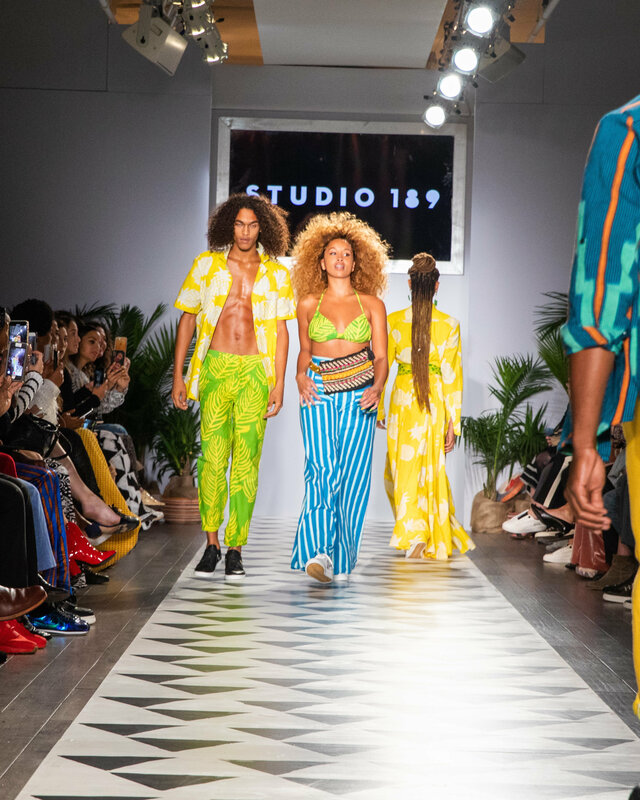 To say that Studio 189 made history this week during the CFDA’s official New York Fashion Week calendar would be an understatement. 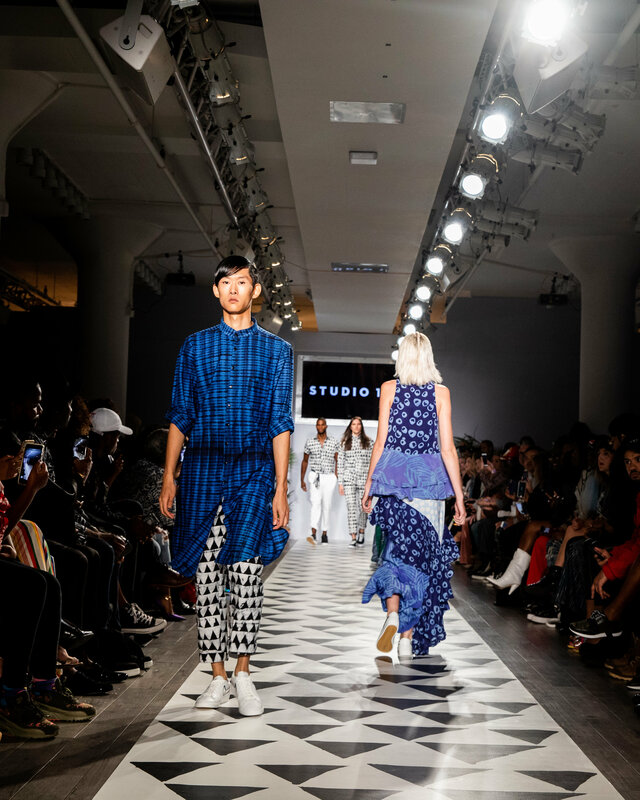 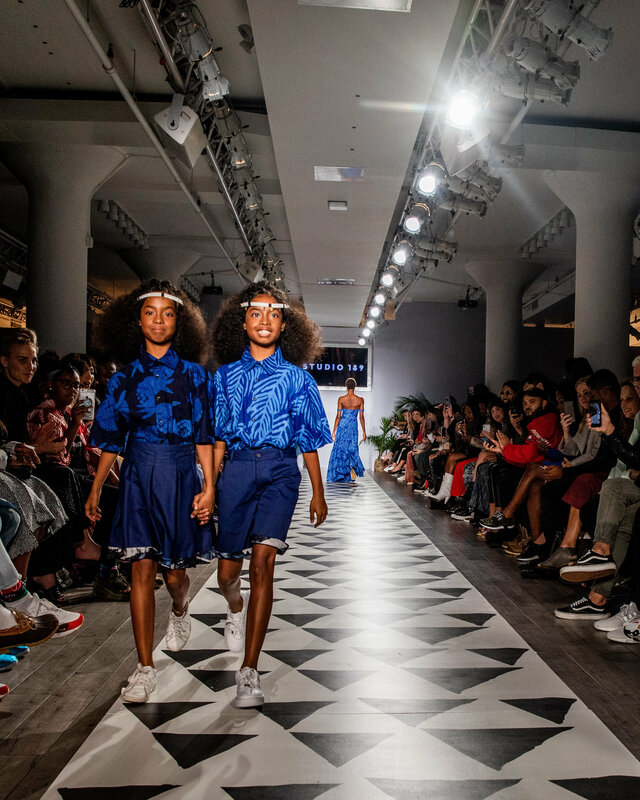 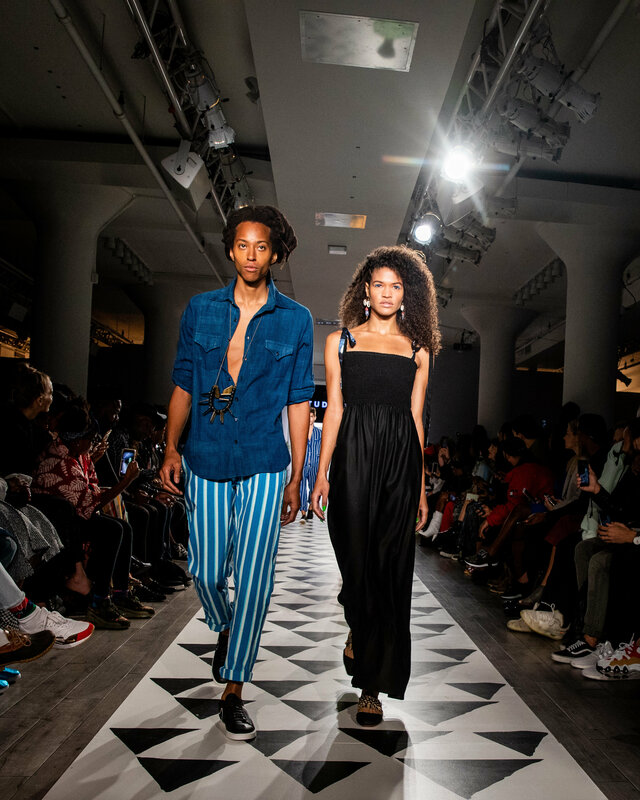 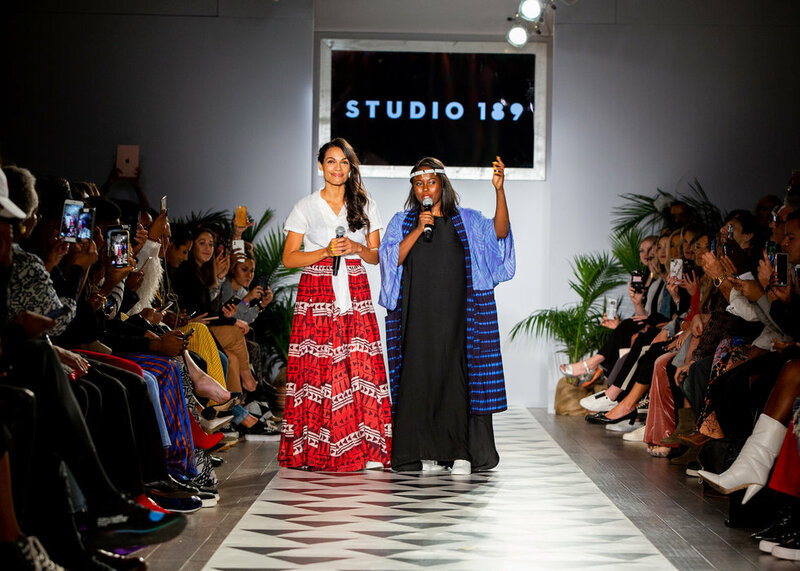 The Ghana and US-based sustainable fashion line, co-founded by Abrima Erwiah and Rosario Dawson, debuted their ready-to-wear spring/summer 2019 collection this week and it was anything but your typical fashion presentation—it was a celebration that hit all of your senses. 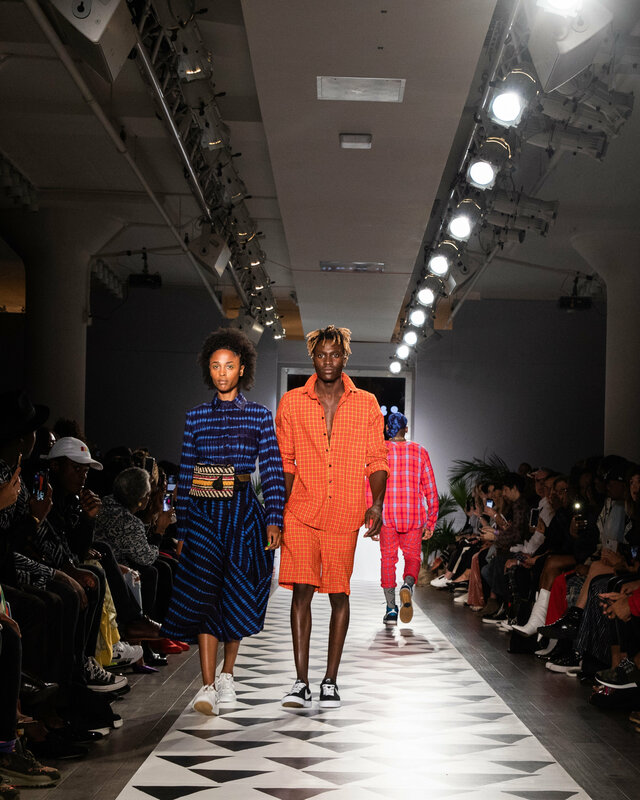 Before the audience who jam-packed Style360’s space in Midtown delved into the highly anticipated looks, the brand chose to screen a short clip, giving a glimpse of the value chain, which is something fashion brands should be more transparent of with their consumers. 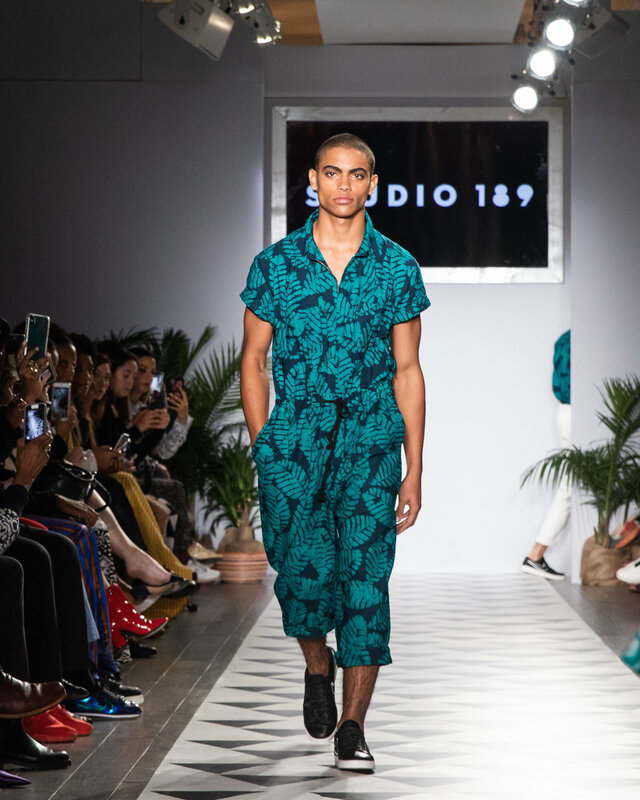 Photo courtesy of Studio 189. 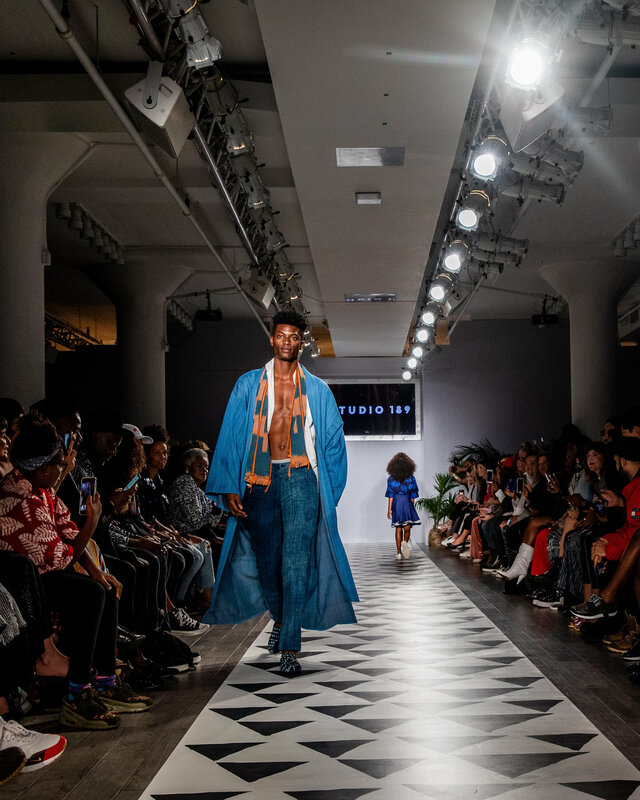 Ghanaian otherworldly artist Jojo Abot then graced the runway for a libation of a performance to honor those who came before us. 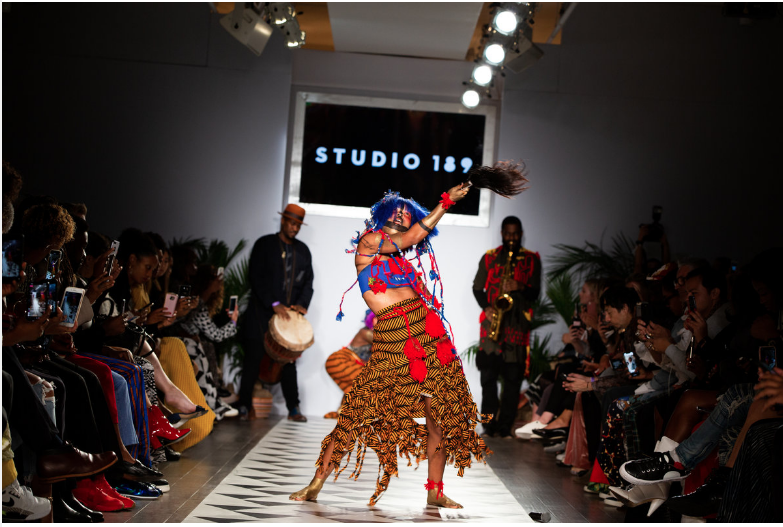 Erwiah notes the importance to acknowledge and venerate our ancestors, as she constantly feels and sees Studio 189’s accomplishments thus far being guided by something that makes the impossible, possible. 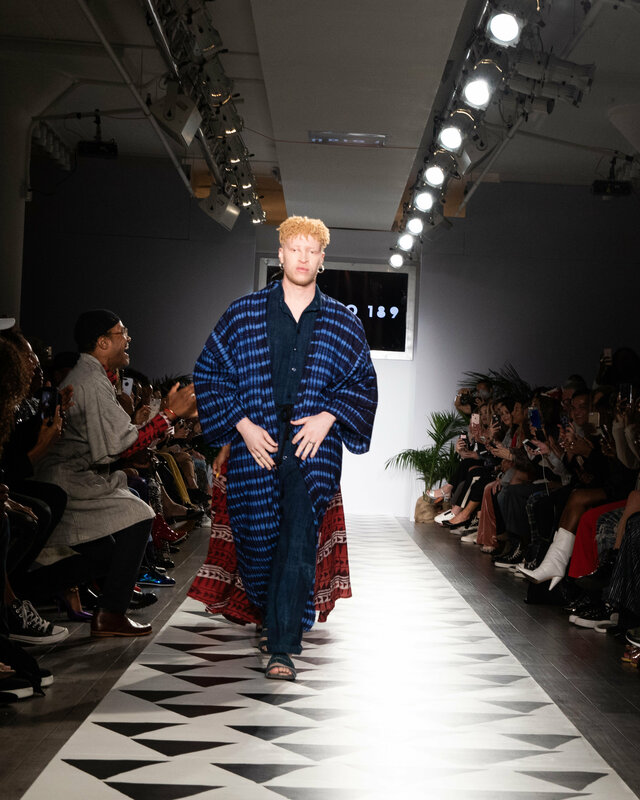 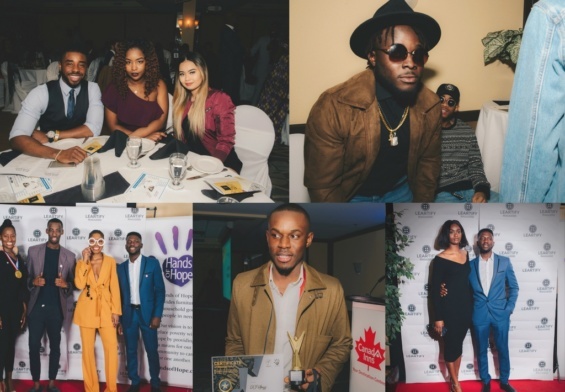 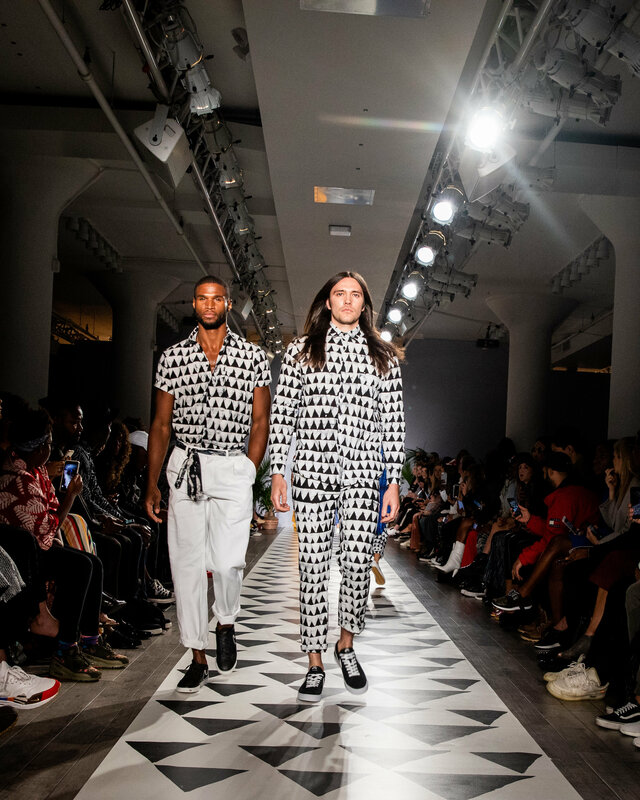 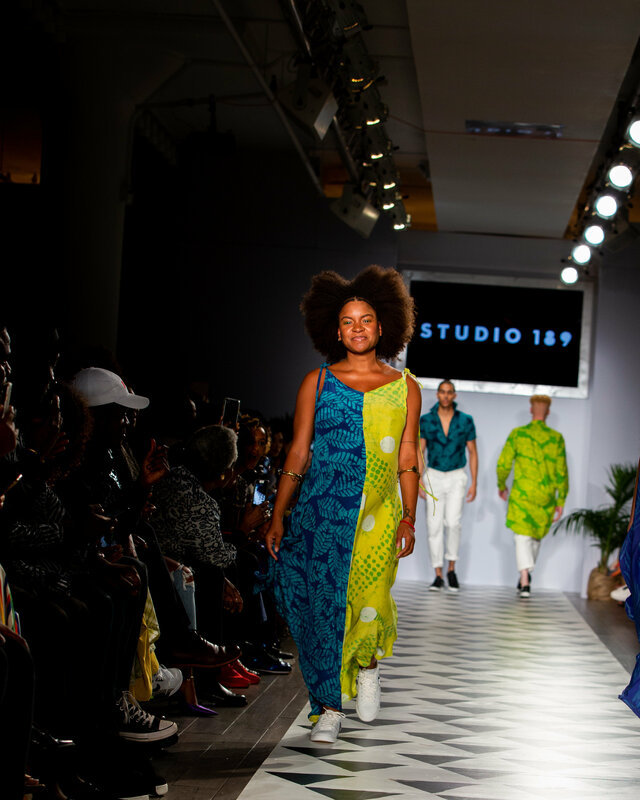 Bright lights shined on models of all sizes, ages, abilities, genders and stages of life strutted down a black-and-white runway with tunes provided by Uproot Andy, who mixed his collab Bumper to Bumper album with Studio 189 that traced the sounds of Africa’s diaspora. 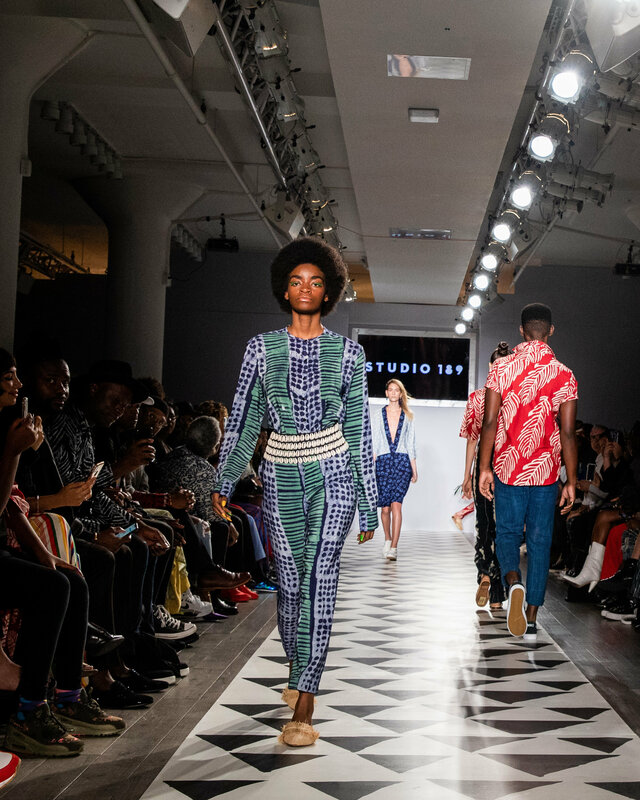 The models were meant to be seen as one big family, celebrating Africa’s diverse culture through brilliant prints, radiant colors from natural dyes from the motherland. 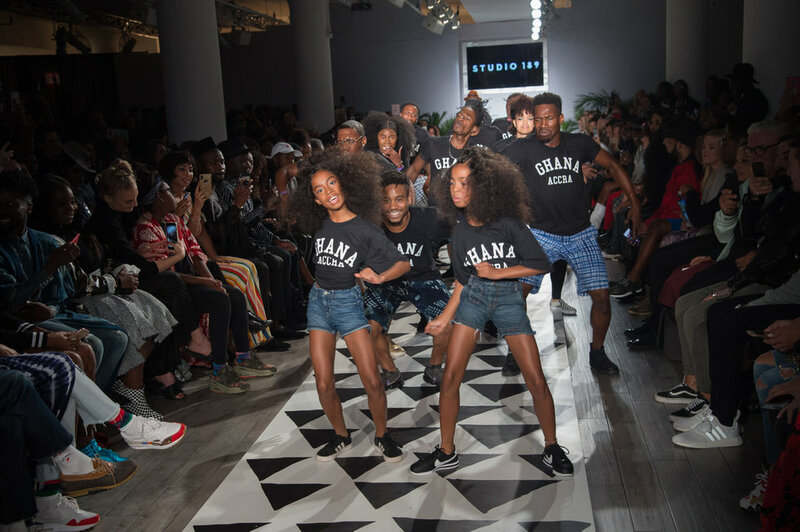 Before the finale walk, the audience was hit with a smash of a dance performance, featuring OkayAfricafaves Frankie Malloy, Papi Ojo, Hooliboy and the Lee Twins. 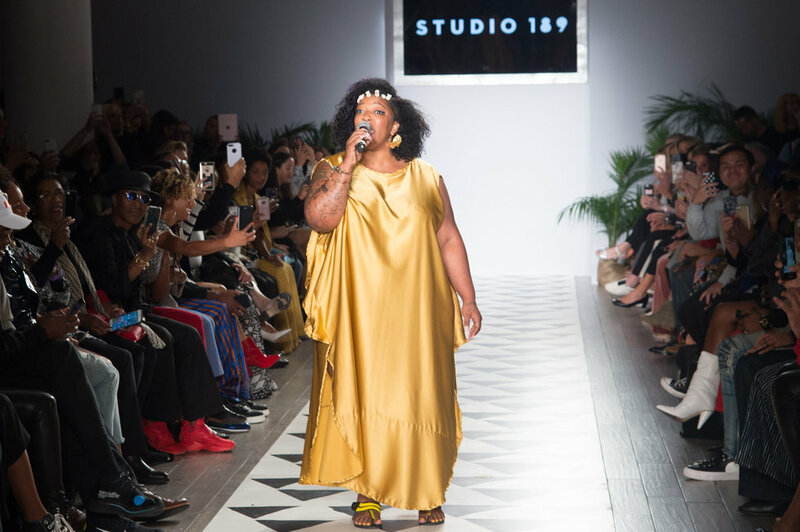 A brief, beautiful and somber moment followed as stunning American Idol singer Frenchie Davis paid tribute to the late legend, Aretha Franklin, and to remember the fallen of September 11. 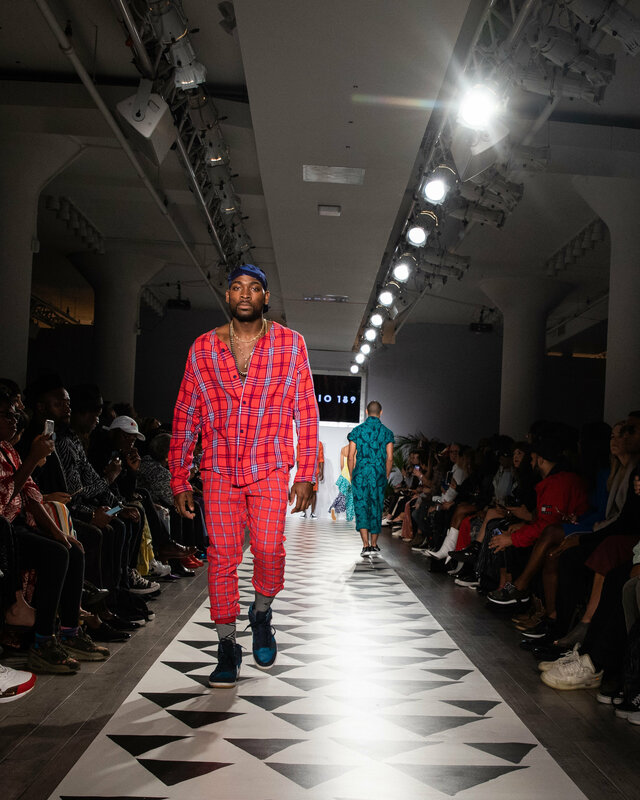 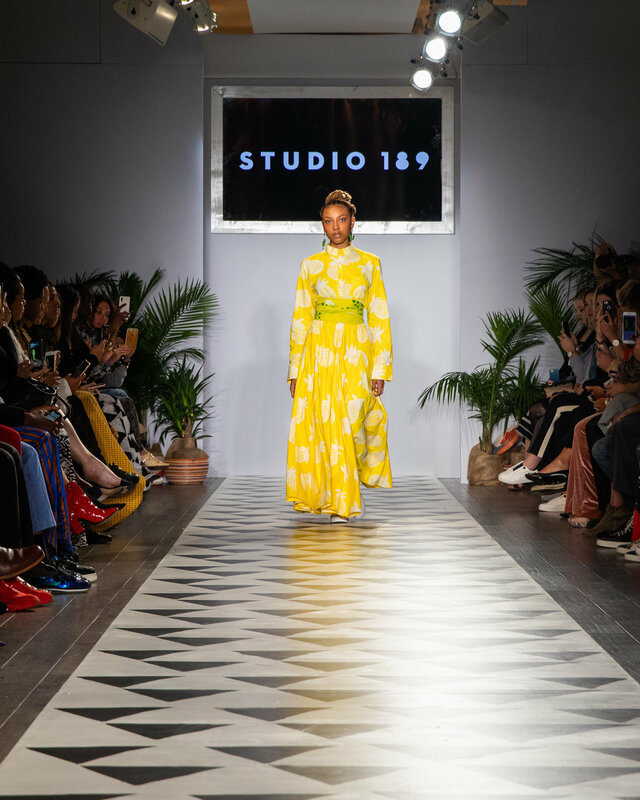 Studio 189’s show was reminiscent of fashion parades you’d find in the black church of the south: classy fanfare with loud, unapologetic applause from the audience. 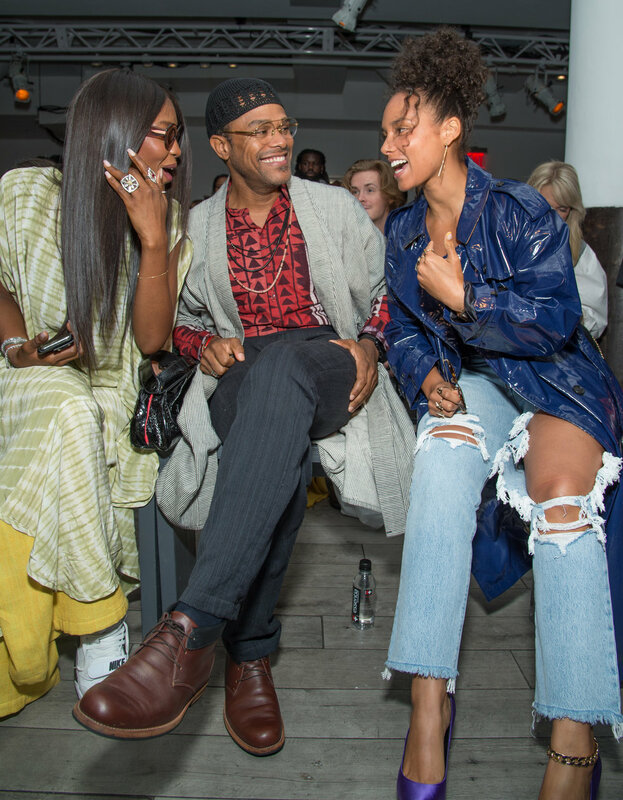 The energy from onlookers was infectious and inexplainable. 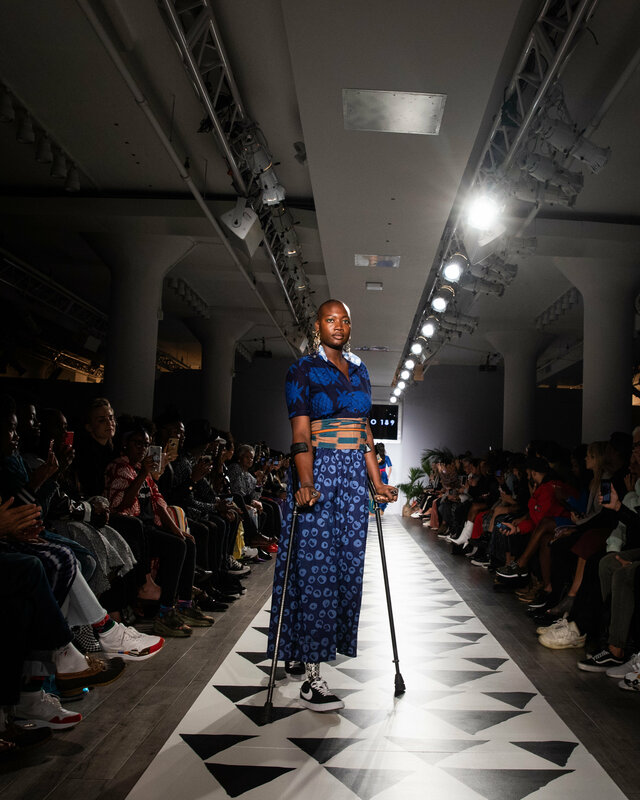 Although Erwiah was nervous that onlookers wouldn’t understand this whirlwind of a fashion show, her vision translated the way it was meant to. 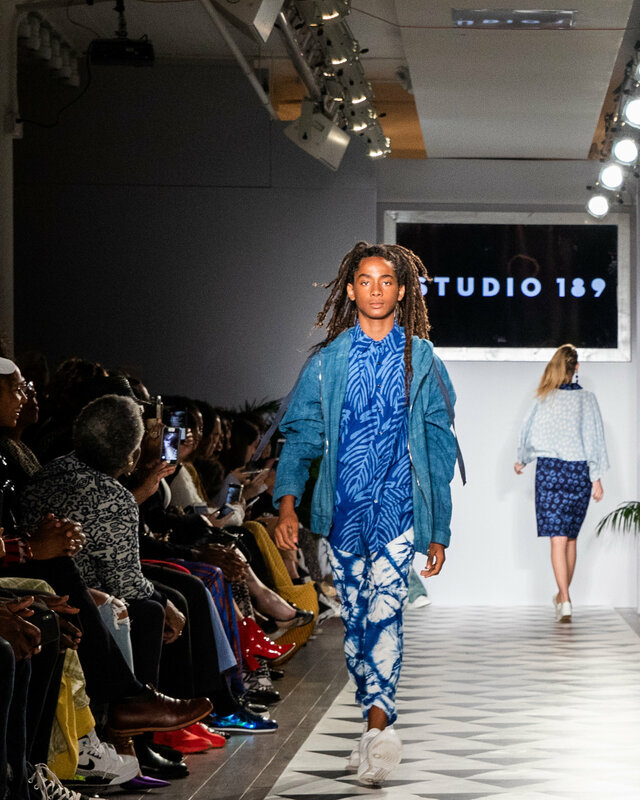 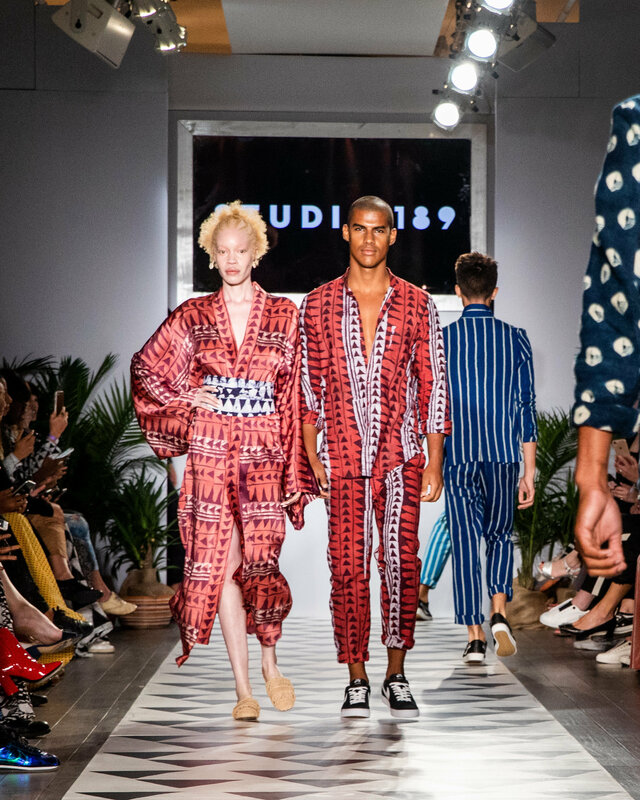 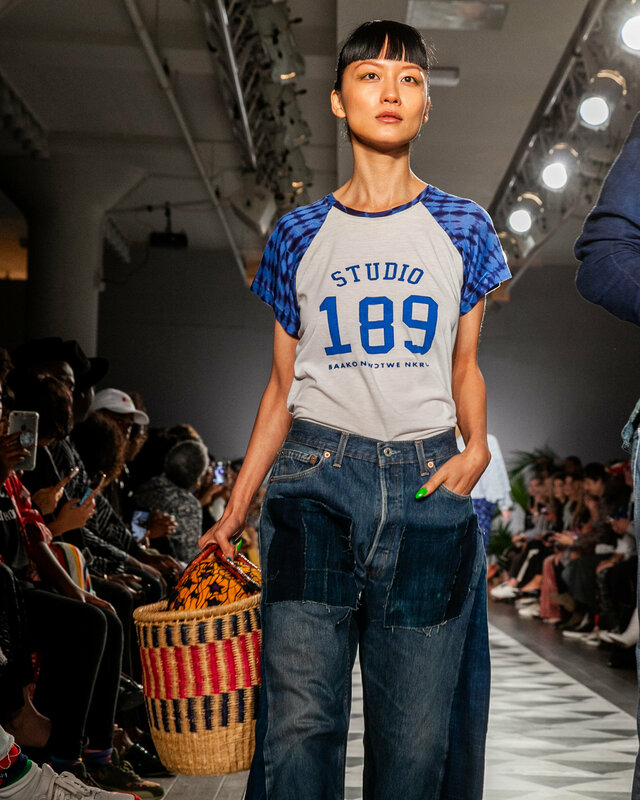 Studio 189’s NYFW show is ultimately a testament to what they continue to strive to put in action: creating opportunity, connecting artisans on the continent with the consumer, showing that a small brand can achieve the impossible and making luxury fashion accessible, yet organic. 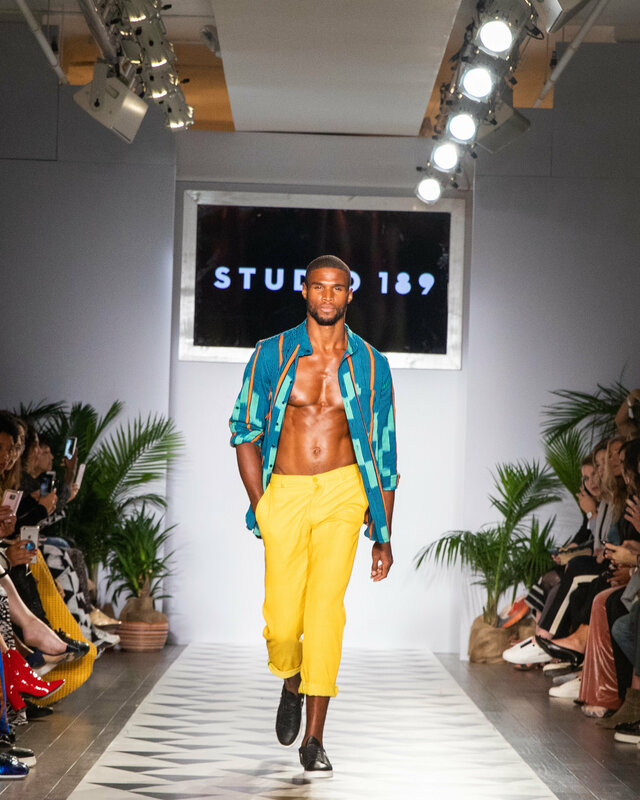 “Why not make it more than clothes?” Erwiah asks. 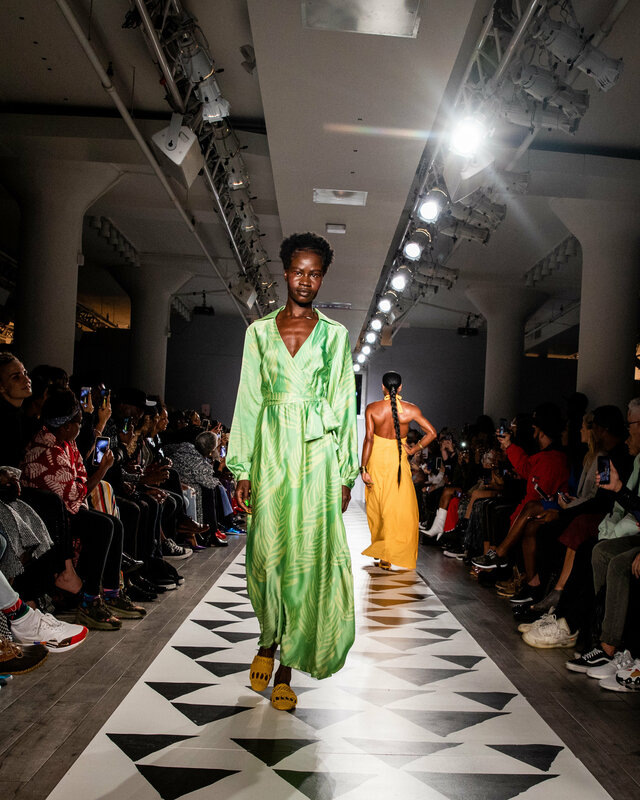 “It’s about the value—these are garments you can keep, garments where you know who’s making your clothes healthy. 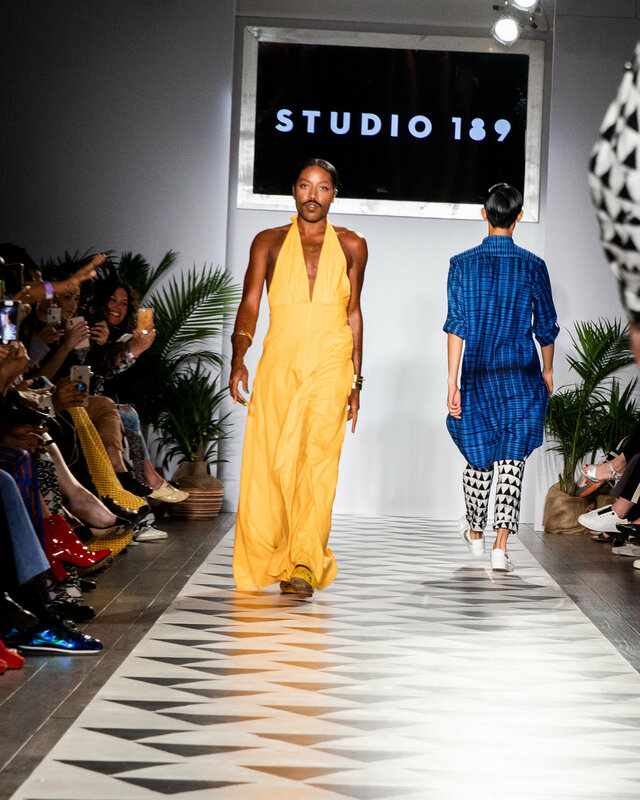 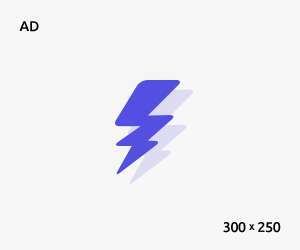 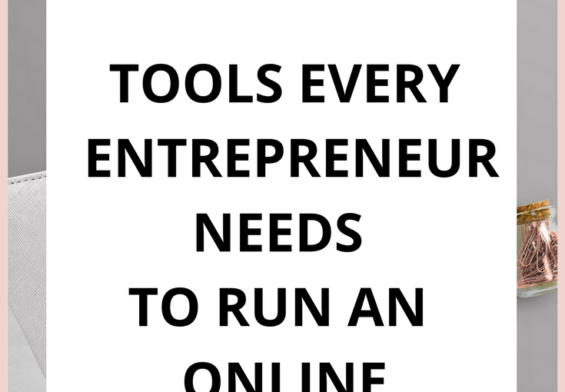 Keep a look out for Studio 189’s website that’s due to launch next week. 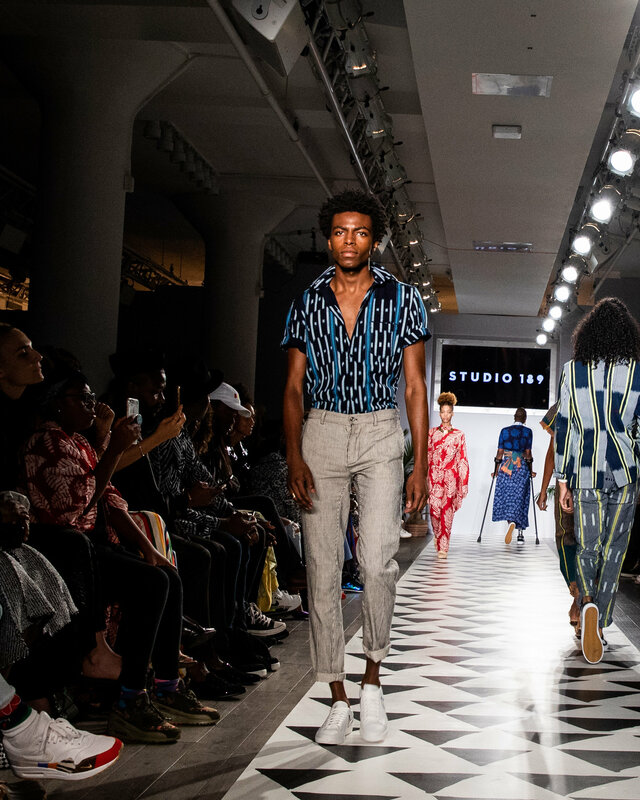 The brand will be taking the spring/summer 2019 collection to market this weekend, then off to the continent to present at Lagos Fashion Week and Glitz Fashion Week in Ghana in October. 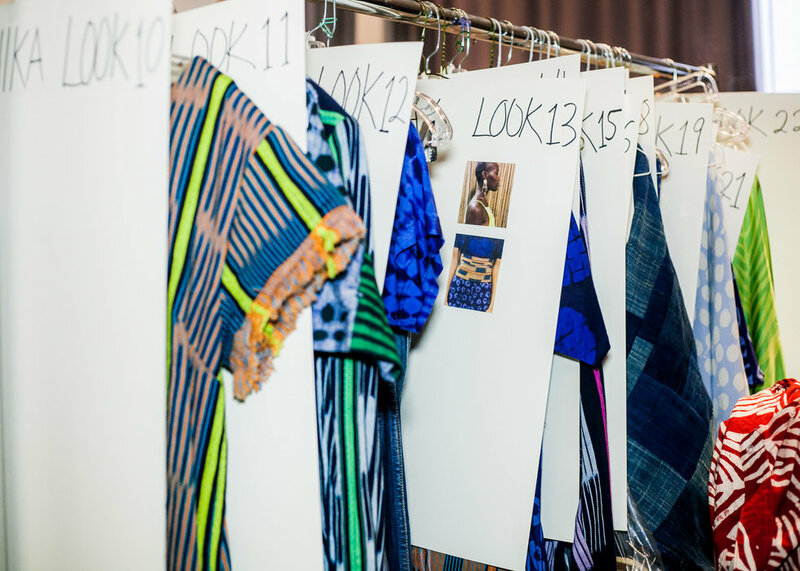 Take a look at our favorite selections from the collection below. 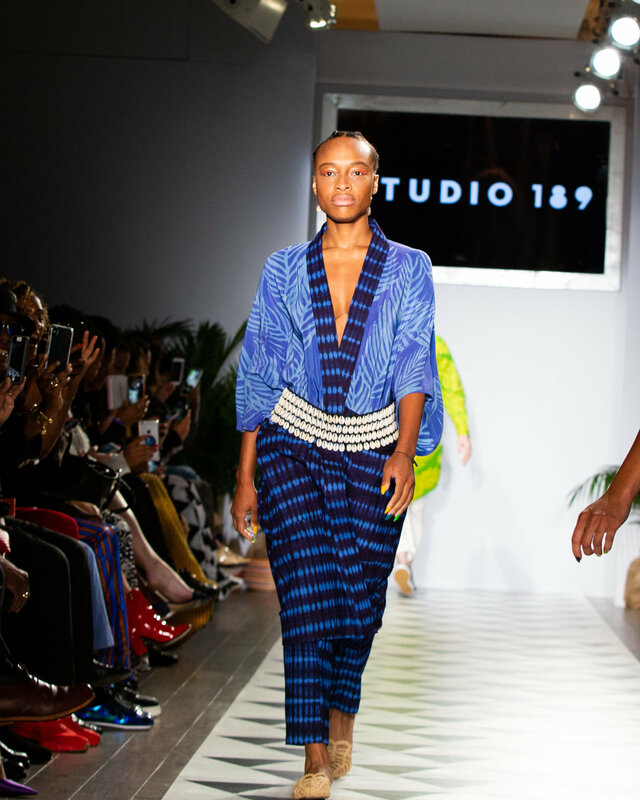 All runway photos by Oluwaseye Olusa, courtesy of Studio 189.